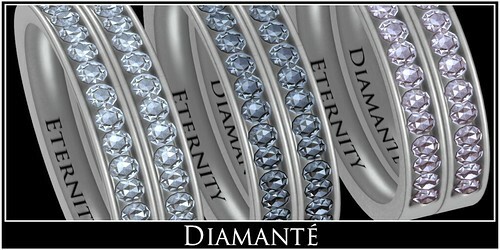 :Diamante: Eternity Diamonds Wedding Bands, a photo by Alliana Petunia on Flickr. Show him that your love will last for an Eternity with this beautifully crafted and highly detailed Mesh Wedding band. Want your ring personalized? Just send Alliana Petunia a notecard with your request! Send a notecard & item in a folder, to Alliana Petunia with details of exactly what you are looking for.